Baked Chocolate Glazed Donuts + Espressotoria special offer! 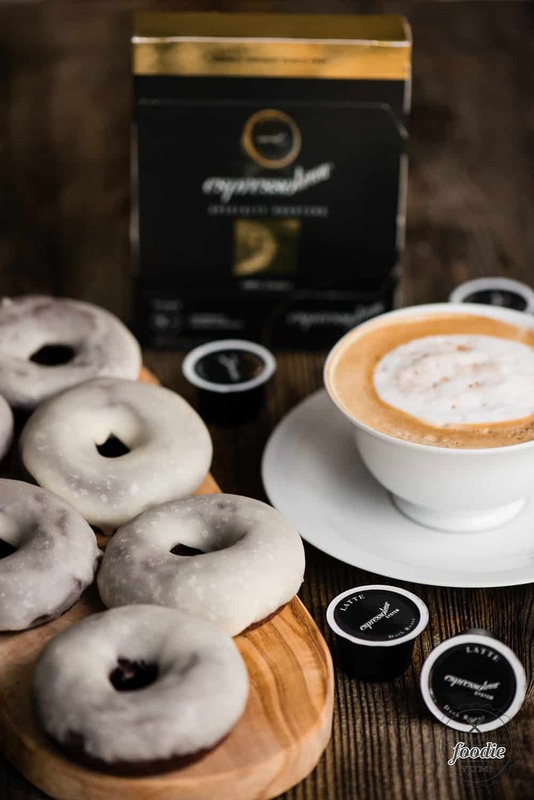 Baked Chocolate Glazed Donuts, best enjoyed with a freshly brewed Espressotoria drink, are a combination of crisp-on-the-outside and soft-in-the-middle dark chocolate cake donut and a super sweet glaze. They are incredibly easy to bake in the oven. No frying required! 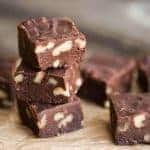 They are the perfect sweet breakfast treat to enjoy with a homemade espresso, cappuccino, or latte! This post was sponsored by Espressotoria. I will earn a small commission if you purchase the Espressotoria bundle, at no added cost to you. 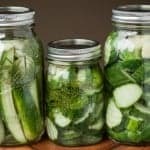 By supporting me this way, I can deliver more delicious recipes! Read my disclosure policy here. Baked Chocolate Glazed Donuts are best enjoyed with an espresso, don’t you agree? I’m about to blow your mind. 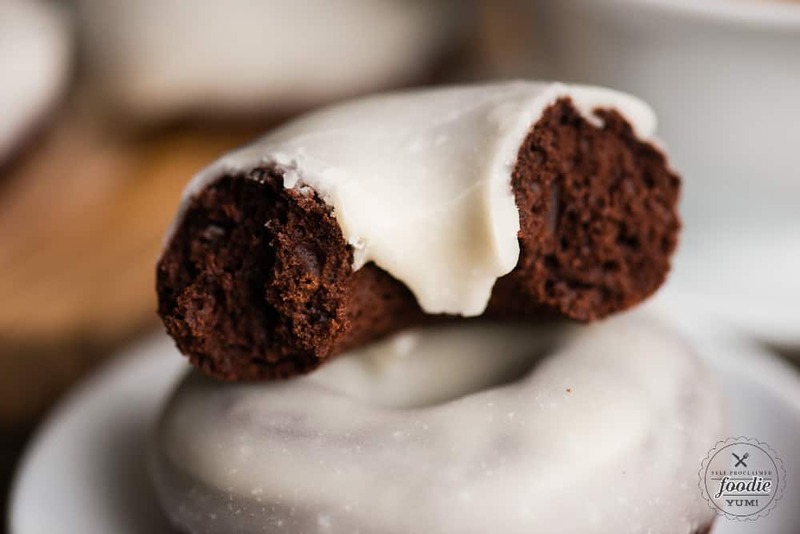 What about chocolate donuts that are made with a bit of espresso powder in the batter served along side an espresso. Now we’re talking! 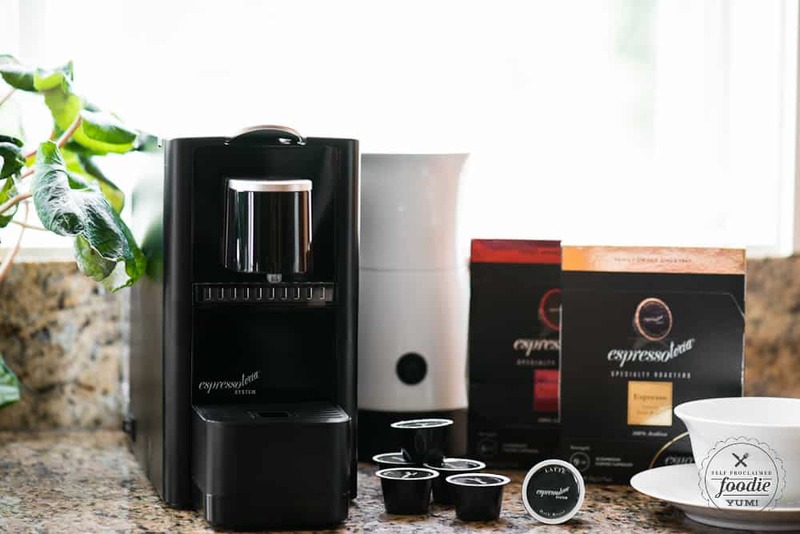 I want to introduce you to Espressotoria – a new, sleek, compact and modern counter top espresso machine that allows anyone to make specialty coffee at-home with the push of a button. 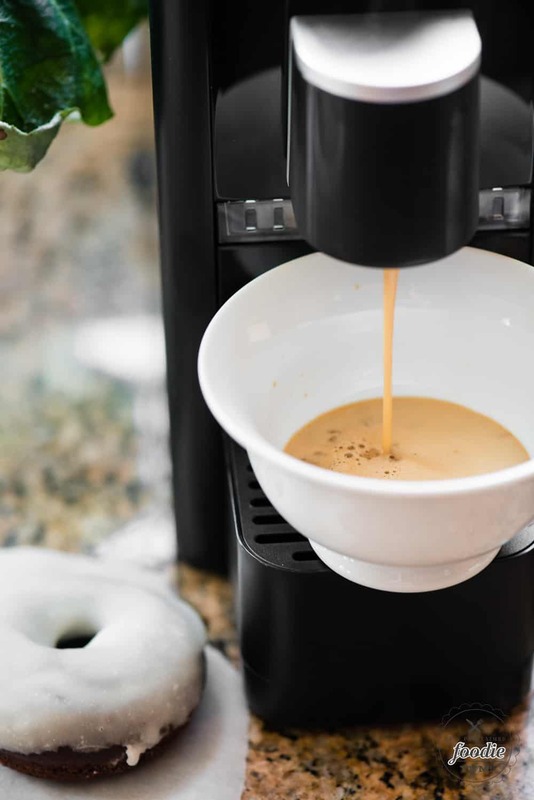 Espresso, lattes, cappuccinos and more have never been easier. The different kinds of coffee Espressotoria offers have an incredible flavor with fresh ground taste. Becoming your own barista just got a whole lot easier! 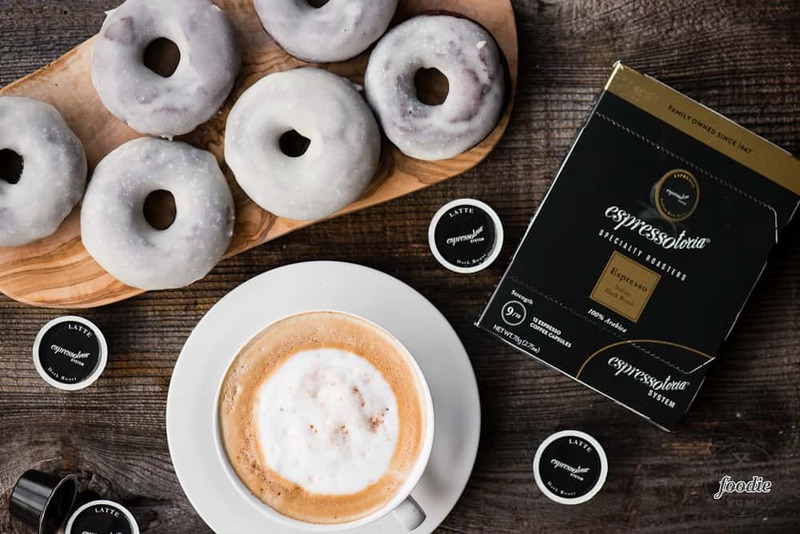 I’m also excited to share that Espressotoria and Walmart.com are teaming up for a special promotion where you can buy six Espressotoria Coffee Pod Packs and receive a FREE Espressotoria Machine! Yes, you read that correctly. For about $54 you get six coffee pod packs and the machine! It is so easy to make espresso drinks at home! I was so pleased with how easy it was to use the Espressotoria system. All you have to do is make sure your reservoir is filled with water. It takes only a minute or two for the machine to warm up the water needed to make your espresso. Then, all you have to do is drop one of the coffee pods in, select one of two brew volumes depending on the type of drink you’re making, and push a single button. Hot, rich, and flavorful espresso is delivered! The Espressotoria machine even has a milk frother that can be attached to the side. 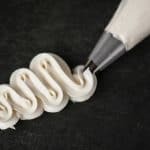 You’ll never want to shell out the big bucks for a latte or cappuccino at an expensive coffee place again when you can so easily make them at home! Besides, can you think of anything better to go with a homemade baked chocolate glazed donut? I can’t! To make baked donuts, you’ll need a donut pan. It’s similar to a muffin pan, but the wells are shallow circles. To properly mix the batter, you’ll want to combine the dry ingredients in one bowl and the liquid ingredients in another. Then, to mix them together, you will add the dry ingredients by the spoonful to the wet ingredients and stir the batter just until it’s mixed. You can spoon the batter into the donut pan, however I find it easiest to transfer it to a resealable plastic bag, snipping the corner, and squeezing it into the pan. This gives you the most control over where your batter goes. 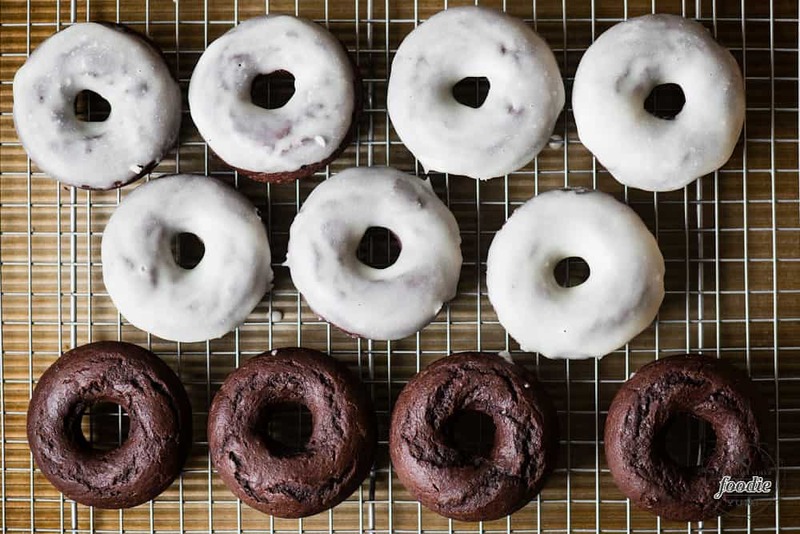 To ensure the insides of your baked chocolate donuts stay moist and delicious, you’ll want to pop the donuts out of the pan as soon as you take them out of the oven. If you leave them in the pan, they will continue to cook. Finally, a dip in warm glaze adds just the right amount of sweetness to your baked chocolate donut. Why do coffee and donuts go so well together? I don’t know. It’s one of life’s great mysteries, I suppose. 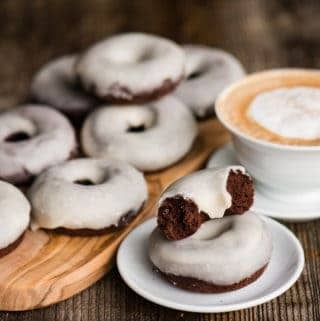 I did find it quite amusing, however, that right after I served my husband these glazed chocolate donuts with a hot latte, that he dunked his donut into the coffee. Just like with my heavenly homemade chocolate cupcakes, I love to add espresso powder to the batter. Just like coffee and donuts go together, the combination of chocolate and coffee is every foodie’s dream. There’s something about the bitter richness that espresso provides combined with that amazing chocolate flavor. The coffee certainly enhances the chocolate flavor, to say the least! The Espressotoria promotion is available for a very limited time, so if you’re interested in the amazingly awesome deal, you’re gonna have to act fast. I dare you to tell me you’re not totally craving a hot cup of coffee and a glazed chocolate donut right now! Baked Chocolate Glazed Donuts are a combination of crisp-on-the-outside and soft-in-the-middle dark chocolate cake donut and a super sweet glaze. They are incredibly easy to bake in the oven. 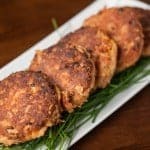 No frying required! They are the perfect sweet breakfast treat to enjoy with a homemade espresso, cappuccino, or latte! Preheat the oven to 350 degrees F. Spray two 6-well donut pans with non-stick spray. Set aside. In a medium bowl, whisk together the flour, cocoa powder, sugar, baking powder, baking soda, and espresso powder together in a medium bowl. Set aside. In a larger bowl, whisk the egg and buttermilk together until smooth. Add the melted butter along with the vanilla extract, stirring until fully combined. Add the flour mixture to this wet mixture and stir until just combined. Do not overmix. Transfer the batter to a gallon sized freezer bag. 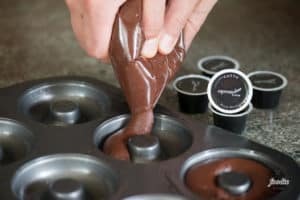 Squeeze out all the air before sealing and snip the bottom corner off so that you can pipe one fat bead of batter into each well of the donut pan. Bake for 9–10 minutes. Remove from oven and transfer donuts to a cooling rack and allow to fully cool to room temperature. Combine the confectioners' sugar, milk, vanilla extract in a small sauce pan. Heat over low heat while stirring constantly just to warm the glaze and allow the sugar to fully dissolve. Remove from heat. Dip the top of each cooled donut in the warm glaze and return to rack. Donuts are best enjoyed fresh but can be stored in an air tight container for a couple days if not eaten right away. These donuts look scrumptious!! Thanks for sharing!!! I’m a sucker for donuts. These look heavenly!